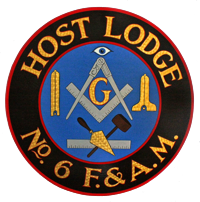 Called to the Lodge on High – Host Lodge #6 F. & A.M. Right Worshipful F. Neal Lambert, Past Master, Past District Deputy Grand Master of this, the 14th Masonic District, passed away today, May 8, 2017. He was 77. As of 11 PM, arrangements are pending. No service is expected before Sunday, May 14. A Masonic Funeral Service has been requested. Date and time will be forwarded when we have it. Received from RW PJ Ehmann. Neal will be greatly missed. We will pass on any arrangements as soon as we can. It is with heavy heart to inform you of the passing of PDDGM (14th District) Neal Lambert this morning at 07:00. Neal was found in the parking lot of the Super Market in Clinton, where he worked, early this morning, taken to the Hunterdon Medical Center, but did not make the trip. Neal was always doing something for Host and the Fraternity. This coming June 12 Neal would have been 78 years old. Fly West my friend, may you always have a tail wind.